Let’s see all the packages marked as rc by dpkg. Know more about the state rc. This state means that the configuration files are not yet removed. You can see how a single package can be removed. WordPress is a very robust content-management system (CMS) that is free and open source. Because anyone can comment, create an account, and post on WordPress, many malicious actors have created networks of bots and servers that compromise and spam WordPress sites through brute-force attacks. Fail2Ban is an intrusion prevention software framework that protects computer servers from brute-force attacks. Written in the Python programming language, it is able to run on POSIX systems that have an interface to a packet-control system or firewall installed locally. Note: In this guide, we will be using version 0.9.6 of Fail2ban on an Debian 9.4 server, but most of it should apply to other distributions as well. How I can increase my partition on CentOS, Debian or Ubuntu on LVM which is installed? If you don’t have your Linux distribution installed with LVM, we recommend you to create a new partition instead of increasing the current. Before continue check that Logical Volume Manager (LVM) is installed on your VPS. Hackers & attackers are always on the prowl. So, when you connect – we protect… helping you to defend your digital life against a whole host of digital dangers. 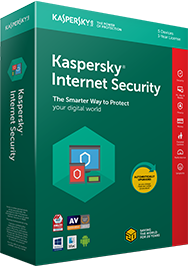 You can surf, socialize & shop – on PC, Mac & mobile* – while Kaspersky Internet Security helps protect you from infections, ransomware, phishing & identity theft. With all their apps & devices – plus all the websites they visit – it takes a lot to protect your family from hackers, attackers and ransomware. We help you to protect all your family – on all their devices – so they can shop, surf, socialize & stream… more safely. Some features are not available for some types of device. DirectAdmin pleased to announce the release of DirectAdmin 1.53.0. So you decided to add a WebDAV support into Apache on Directadmin server with Custombuild 2.x. Here you can find a basic guide on how to achieve it. First of all please keep in mind, that Apache is already built with WebDAV support if you install it with custombuild on a Directadmin server. The current stable distribution of Debian is version 9, code named stretch. It was initially released as version 9 on June 17th, 2017 and its latest update, version 9.4, was released on March 10th, 2018. Do not try to install DirectAdmin version cleanly in any way on Debian 9.4. Because Direct Admin currently does not recognize this version. This issue has been solved by DirectAdmin support.